Weekly Deals are finishing up! 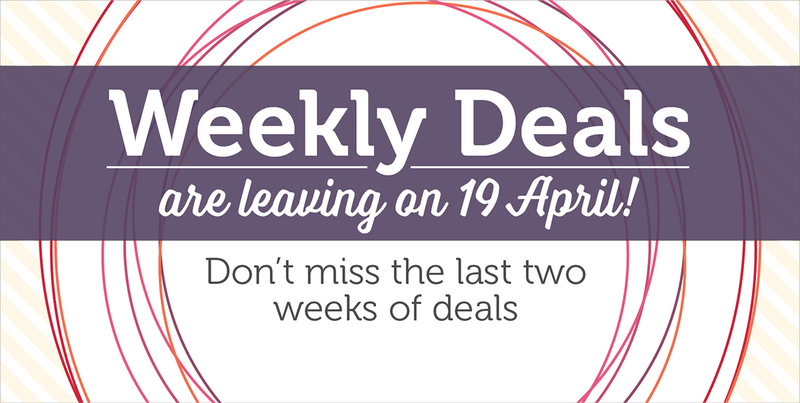 Weekly Deals are leaving in 2 weeks! Stampin’ Up! are replacing Weekly Deals with a better promotion called Special Offers and these will occur every few months with more products. There are lots of extras added to the Weekly Deals list this week. Please check them out here and if you like something, click through on the product to purchase.